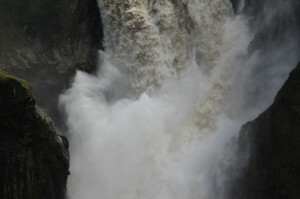 Ecuador’s Rivers Need Your Help! And you can benefit from giving to the ERI by extra chances to win awesome gear in the annual SWA gear giveaway contest. 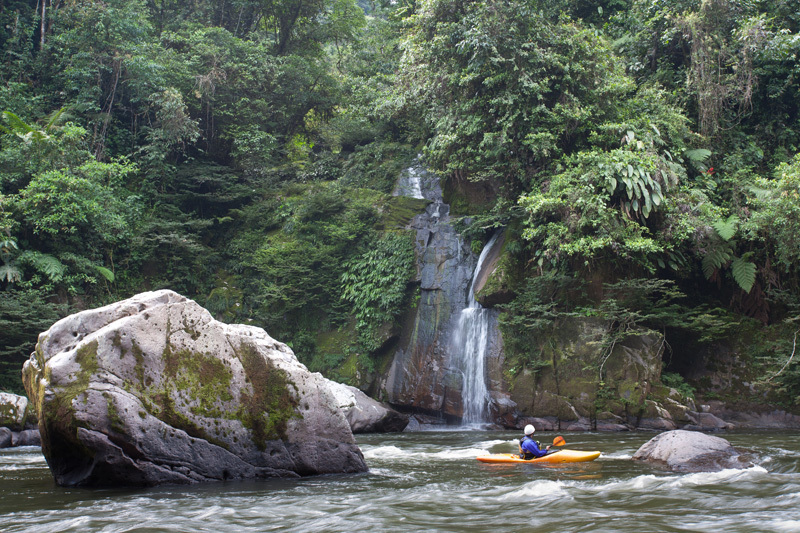 Ecuador is home to some of the most amazing rivers and river canyons on this planet. In addition, Ecuador possesses some of the richest biodiversity in the world. Through national parks, reserves and sanctuaries, the country has taken some measures to protect Ecuador’s natural capital. But, these “on paper” protections aren’t proving strong enough against the ever-present drive towards development. There are currently a number of environmental threats that the Oriente (Eastern Slope of the Andes) is facing. 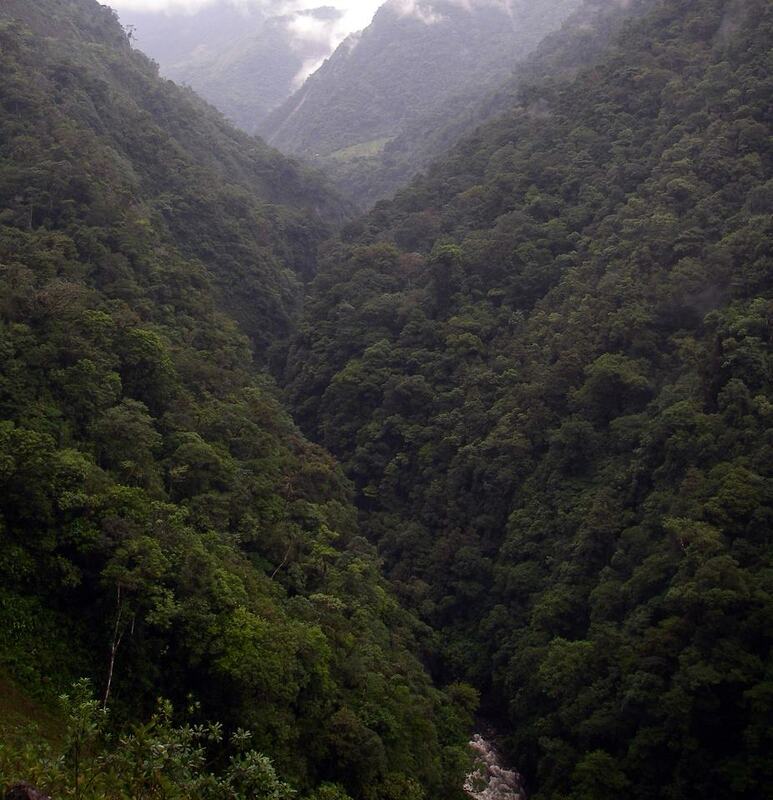 Gold mining, oil, logging and hydro development are the 4 main forces threatening Ecuador’s rivers today. Surprisingly, since Ecuador sees so many visiting boaters each year and has a strong contingent that comes year after year, it really is lacking a strong conservation community. Matt Terry and the Ecuadorian Rivers Institute (ERI) is the sole force fighting to protect Ecuador’s rivers; and this summer Small World Adventures has made it our priority to help Matt garner the support he needs to continue his fight. Currently, the ERI is working on a number of fronts to do what it can to protect Ecuador’s rivers. It works hard to stop illegal gold mining and gravel mining in the river beds. With the price of gold so high these days, illegal gold mining has run rampant throughout the country. Through river watches and reports to the local governments, the ERI has helped shut down many of these operations. Many small-scale mining operations are using heavy machinery to cut new accesses to remote river sites (better mining if there aren’t already a much of miners there). Once access is cut into the jungle, logging, farming, and ranching usually ensue. Most of these “path-blazers” are doing their work without permits and the ERI is busy trying to keep this in check. The ERI is has also proposed (and had accepted in the early stages) a protected river corridor that would follow the Jondachi and Hollin River systems. This idea is appealing to pretty much everyone involved. From the federal government’s perspective, all the ERI is asking is to protect a measly 2 kilometer wide swath of land the follows the Jondachi River into the Hollin River and the Hollin all the way down to its confluence with the Misahaulli. To river-lovers, this protection is great! If it is put into law, it will stop the proposed dam on the Jondachi as well as all future oil development in the river corridor, and all in-river mining operations. 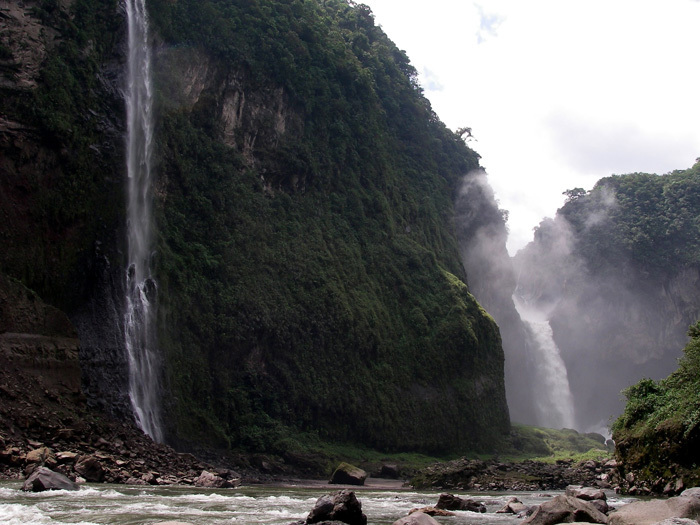 If this corridor idea becomes a reality, it will set a much-needed precedent for protecting other precious rivers in Ecuador. The ERI is also the only group (as far as we can see) who actually checks up on government projects to make sure they are complying with the environmental regulations put forth by the government itself. Few people know this, but nature was given constitutional rights in Ecuador a few years back and the ERI is doing its best to make sure that these constitutional rights are upheld. But all these efforts take funding which is hard to come by when you are a small non-profit working in the jungles of Ecuador. 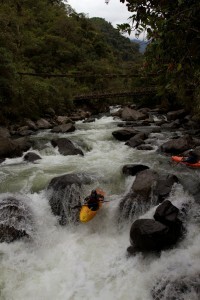 So, if you love Ecuador’s rivers and want to help, donate to the ERI! Between now and October 30th, for every $5 you donate to the ERI you’ll get 1 extra entry in Small World Adventures’ summer gear giveaway. A $50 donation gets you 10 extra entries. 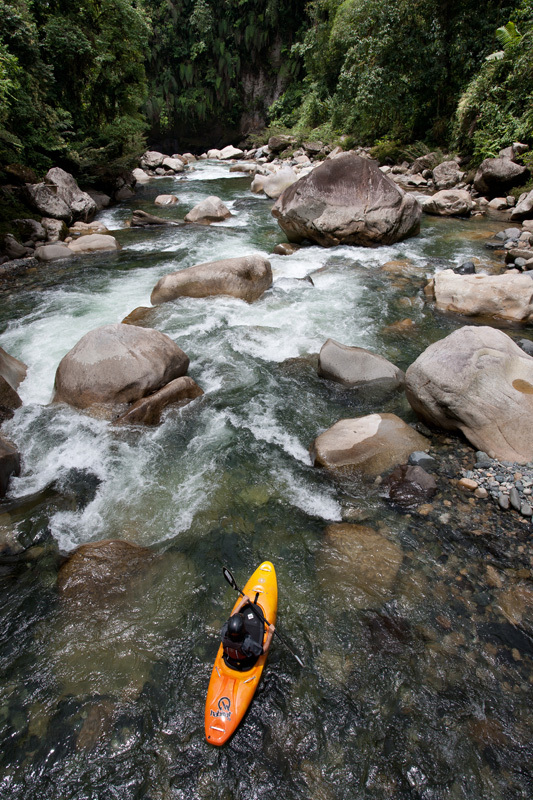 So, who knows, doing a good thing for the rivers of Ecuador could get you a Jackson Kayak or tons of other great prizes! We are giving away awesome prizes all summer long. You can win gear from Jackson, Werner, Sweet, IR, Snap Dragon, Smith, Forge Motion Pictures, Sea to Summit, CKS, and Kayak Session. On May 1st we will choose our first 4 winners of the summer. One will get a long-sleeve IR thin skin, one will get a Big River dry bad from Sea to Summit, one will get a copy of Forge’s Wildwater, and one will get a 1-year subscription to Kayak Session Magazine. IR’s thin skin is a lightweight, tight fitting rash guard. Made with a 4-way stretch, 57% polyester, 31% poly/bamboo fiber and 12% spandex blend. The material is soft, stretchy and wicks exceptionally well. Worn for warmer weather paddling or as a base layer all year. Flat seam construction to prevent chaffing and high neck to prevent sunburn. Wind and abrasion resistant. UPF rating: 73. Sea to Summit’s Big River Dry Bag is a bomber dry bag that every kayaker should have! It is super strong and abrasion resistant, this non-PVC mid-weight dry bag has space saving low profile Hypalon® lash loops on the sides for secure stacking and a roll-resistant oval shape. 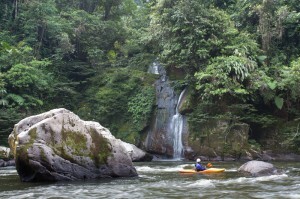 A great choice for rugged water sports like kayaking, canoeing and rafting. Suitable to keep contents dry in any wet situation where the bag is not submerged. If you haven’t heard of Forge Motion Picture’s Wildwater by now, you are missing out! When ordinary people, share a singular passion, the extraordinary emerges. 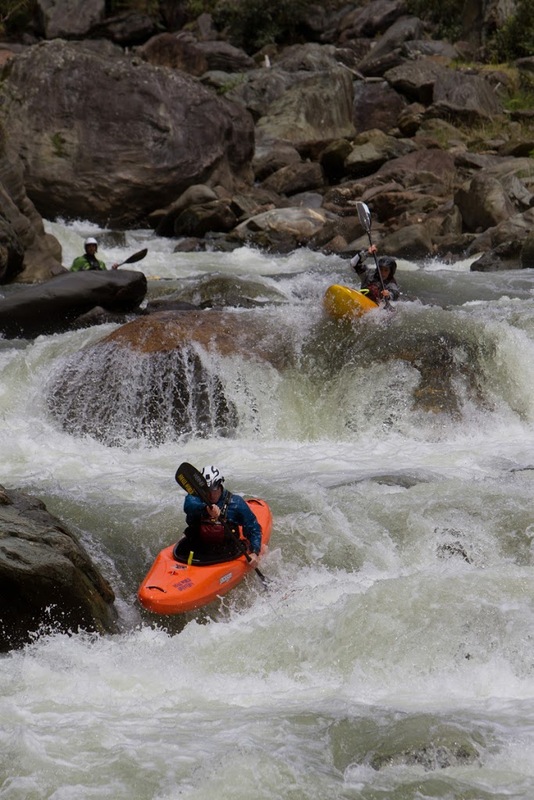 WildWater is a journey into the mind and soul of whitewater, into the places only river runners can go, places of discovery, solitude and risk. It’s a visually stunning feast for the senses, and an expedition into new ideas. Kayak Session Magazine is the highest quality kayaking-only magazine out there. The photos will blow you mind and the stories are well-written pieces on contemporary kayaking feats, legendary kayaking heroes, and great kayaking destinations. Keep up to date in kayaking news and learn a little bit about the sports’ history all while having your mind blown by incredible photos! Anyone can get 1 free entry by going to our website, scrolling down to click the “win” link and then filling in the answers to the sign up form’s questions.